Fathers Day is almost here! If you’re looking for a creative craft or activity we’ve got a huge list for you. 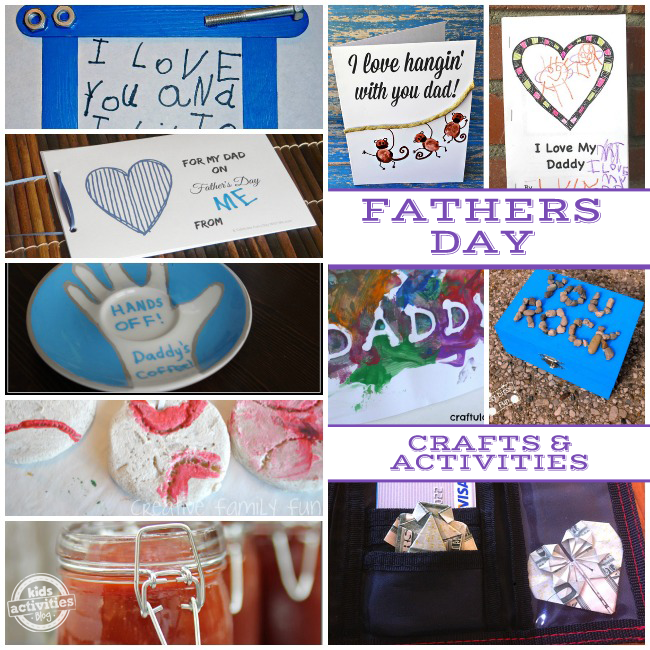 You’ve got plenty of time to grab a few craft supplies and make dad something really special, and from the heart. Everyone loves a present that is homemade, especially if our little ones have made it for us. Make dad a homemade father’s day mouse pad for his desk! 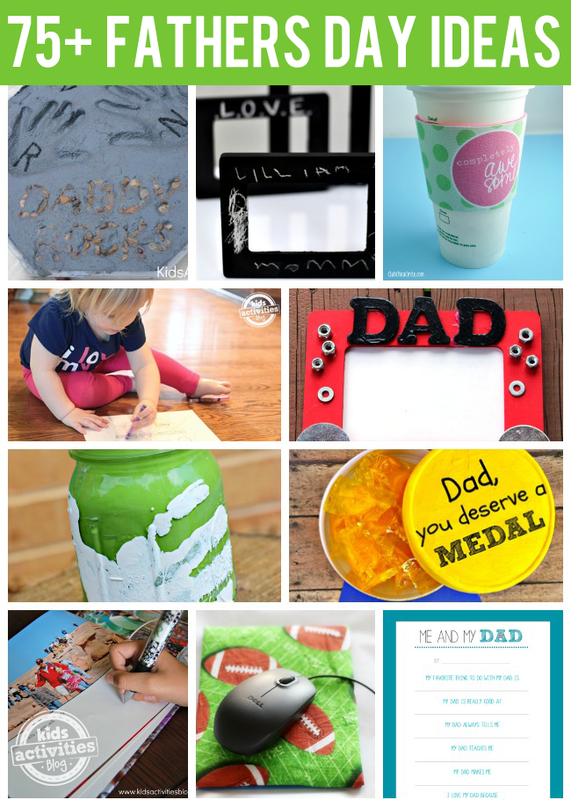 Easily make dad a personalized card with these free father’s day printables your kids can color and paint. Dad will love these chalkboard father’s day frames custom made by his kiddos. For the dad who loves to garden, these personalized stepping stones will make a really sweet addition. Make dad an accordion father’s day card to show him how much he is loved. Grab a bunch of dad’s old ties and make a windsock! Here is a really sweet idea for making a personalized father’s day book for dad with special notes and photos. Color dad a few father’s day doodle cards. There are four cute designs to choose from! You can make dad a personalized father’s day neck tie designed by your kids. It is a really sweet gesture! Take a few special photos and turn them into a super cute memory jar.